William Augustus Muhlenberg was born in Philadelphia on September 16, 1796, to Henry William Muhlenberg, a wine merchant, and Mary Sheefe. He was also the grandson of Frederick Augustus Conrad Muhlenberg (Penn trustee, 1779-1786), grand-nephew of John Peter Gabriel Muhlenberg (Class of 1763 and Penn trustee, 1787-1788), and the great-grandson of Henry Melchior Muhlenberg (1711-1787) who was instrumental in organizing the first permanent Lutheran church body in America. 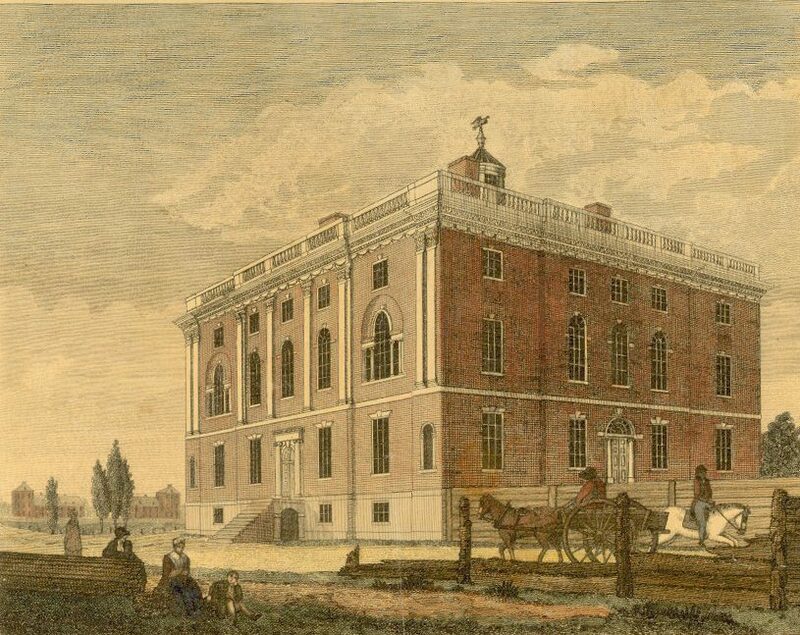 In 1812, William Augustus Muhlenberg entered the College of the University of Pennsylvania. On October 2, 1813, he was one of thirteen founding members of the Philomathean Society, Penn’s first student organization. After graduating in 1815 as his class’s English Salutatorian, Muhlenberg went on to become a Protestant Episcopal clergyman. His first position, from 1817 to 1822, was as an assistant to Bishop William White at Christ’s Church in Philadelphia. For the next few years he served as rector of St. James’ Church in Lancaster, Pennsylvania, where he established the first public school in the state outside of Philadelphia. Muhlenberg moved to Long Island in 1826, where he founded and headed the Flushing Institute (later St. Paul’s College); his progressive methods of education made him a nationally known figure. In 1834, during his time on Long Island, Muhlenberg earned his Doctorate of Divinity from Columbia College. In 1845 he established the Church of the Holy Communion in New York City; this church was well-known because its pews were free and because it delivered such services to the community as employment agencies, medical services, parish schools, and English classes. He also founded the Sisterhood of the Holy Communion for women who were committed to this kind of work. The infirmary established by Muhlenberg at the Church of the Holy Communion expanded into St. Luke’s Hospital. He later became superintendent and chaplain of St. Luke’s Hospital in New York City, a position he held from 1858 until 1877. Muhlenberg was the author many well-known hymns and an advocate for the reform of church liturgy. He is recognized as one of the first American religious leaders to recognize the significance to the church of the needs of the new urban and industrial society; he worked to bring new organizations and methods into the church so that it could address this changing society. Muhlenberg died in New York on April 8, 1877.